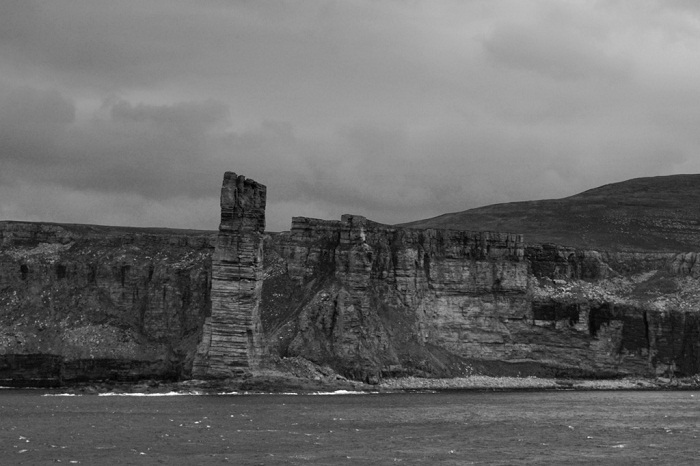 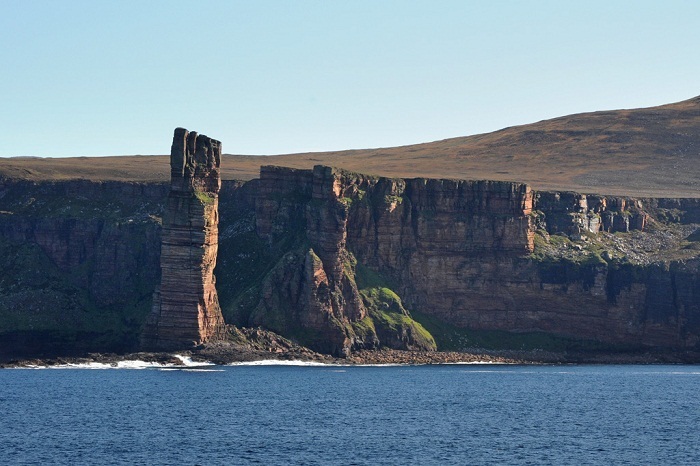 The Old Man of Hoy is a tall, famous sea stack located on the island of Hoy, which is part of the Orkney archipelago, off the north coast of Scotland, the United Kingdom. 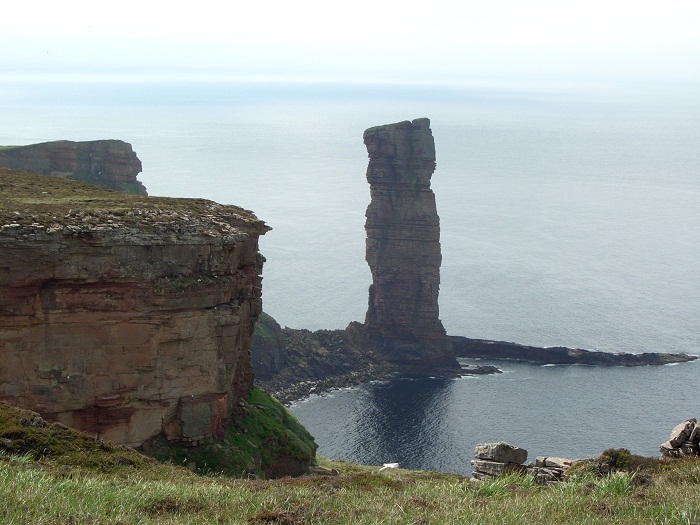 This geological land form is 137 meters (449 feet) high, and very popular among climbers, who reached the top of the stack in 1966. 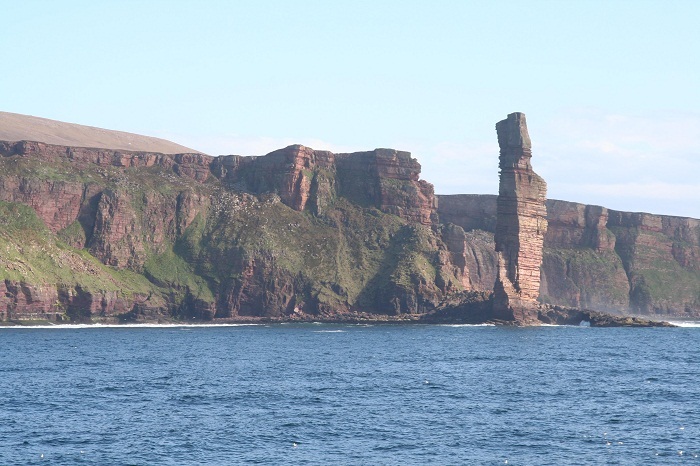 As it was created by the erosion of a cliff through hydraulic action, sometime around 1750, it is possible to collapse in the sea, very, very soon. 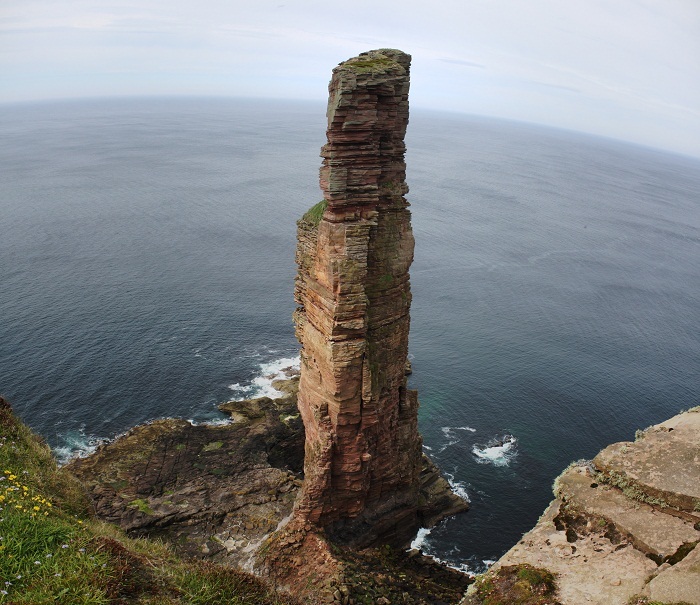 Until then it will stay as the tallest stack in the UK, where many climbers and base jumpers have visited it. 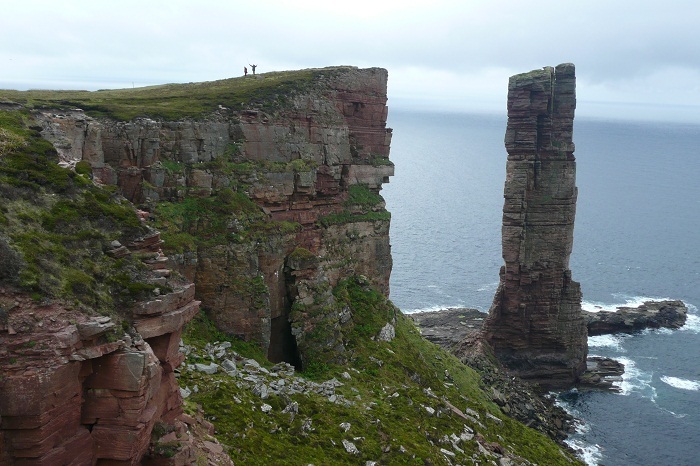 Chris Bonington, Rusty Baillie and Tom Patey were the first people to climb the stack, and even a blind person named Red Szell, climb it despite suffering from retinitis pigmentosa that left him with 5% vision. 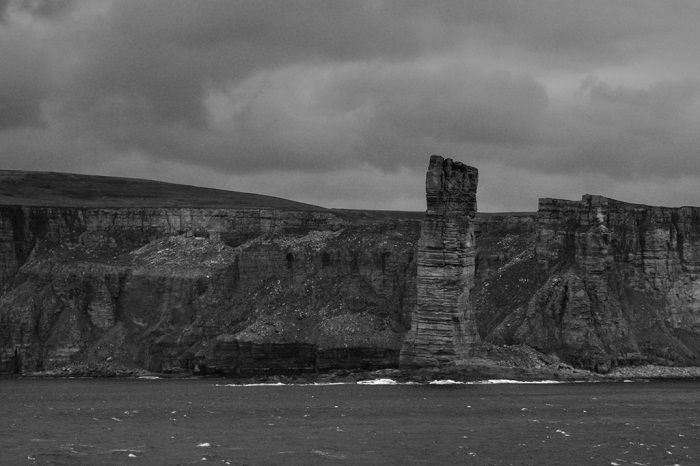 Still, with some assistance from Martin Moran and Nick Carter, he succeeded in 2013 to reach the top. 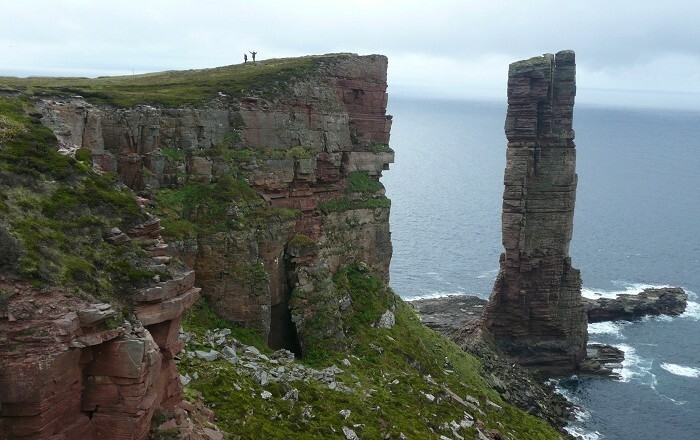 On the other hand, the first base jump was made in 2008, when Roger Holmes, Gus Hutchinson-Brown and Tim Emmett jumped from the high stack. 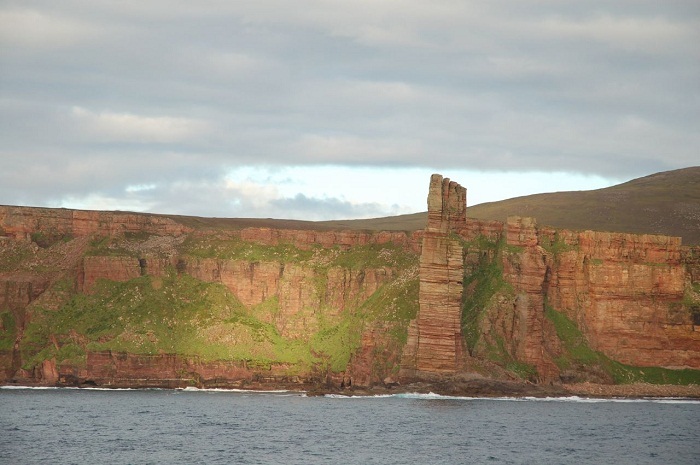 Since many Brits have seen the Old Man of Hoy on live television, yet, can distinguish it, it will be remembered, even if collapses in near future.